KARYASIDDHI is now the preferred choice of multinational companies for their pollution control system needs. Repeat orders for our systems talks more about our high quality and cost effective solutions without putting more efforts. It is rather very difficult to maintain our position in our industry while giving the same highest quality products against market up and downs, competition and product cost. But we make this possible by means of our dedication to Product quality, attention to detail and commitment towards our goal. An effective air pollution control system is essential in today's industrial landscape because of tightening compliance standards, increased enforcement, and heightened community pressure. We offer a wide range of Air pollution control and Centrifugal Fans and Blowers which are now mandatory for any manufacturing organization, where in particulate or gaseous emissions and fumes needs to be extracted and treated before it is released in the atmosphere. All our air pollution control equipment design is a result of tireless and consistent efforts of Mr. S. A. Chunamari, an IIT Mumbai post graduate (M Tech) in Chemical Engineering and founder and director of the company who is acknowledged as an expert in the field of environmental engineering. KARYASIDDHI prides itself for its competitiveness, efficiency, robust and energy saving factors in all its solutions. We have refined our product range to cater standard air and gas applications in the Iron & Steel industry, Pharmaceutical industry, Chemical industry, Fertilizer industry and FMCG companies. We have closely worked with the top most engineering consultants in India such as Kevernar Power Gas, I. C. B. Ltd, Chemtex Engineers Ltd, Humphreys & Glassgow Ltd, Tata Consulting Engineers, Engineers India Ltd, Uhde India Ltd, R. J. Associates & Engineers Pvt. Ltd, etc for various prestigious projects. Our reach finds its niche not only in India but also in other nations across the globe. Born in the year 1954, Mr. Shashikant Chunamari obtained his Masters Degree in Chemical Engineering from IIT, Mumbai with Pollution Control Specialization. 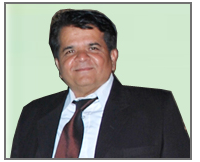 He started his career as a Marketing Engineer with Hindustan Dorr-Oliver Ltd and as a Marketing Manager with Beardsell Satec Ltd. After a brief professional career with these reputed companies, he started Karyasiddhi Blower Systems Pvt Ltd in 1984. Since then he has been instrumental in growing the company from a small ‘Industrial Fan’ making company into Environmental Engineering company undertaking turnkey projects. Because of his rich experience in pollution Control field, he is invited as an honorary guest lecturer every year at IIPE (India Institute of Engineers) for delivering lectures on the same. Born in the year 1982, Mr. Shiva Chunamari obtained his Bachelors Degree in Electronics Engineering in 1999, Post Graduation from Humber University, Toronto, Canada and Management Degree from SP Jain Institute of Management & Research. Soon after he took a plunge into the business arena to assist his father. He joined the company as Management Trainee for two years. And later during 2007-2010, he was instrumental in successful and timely commissioning of more than hundred Air and Water pollution control projects. 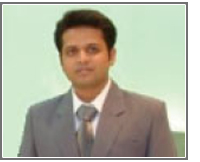 Since 2011, he has been appointed as Managing Director of Karyasiddhi Environmental Engineering Co. Pvt. Ltd., and handles all day to day affairs of the company.